The Newman University diagnostic medical sonography program is unique in many respects. 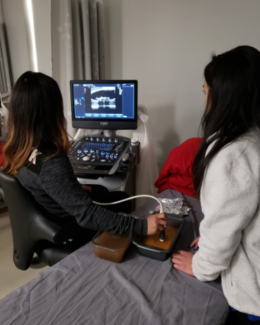 The program offers students a hands-on learning experience on campus and an end result of a bachelor’s degree, which is not typical of most sonography programs. Newman provides didactic and lab work at the university for personal instruction, and students learn three different modalities throughout the course with clinical sites being personally hand-picked for each individual student. She and adjunct professor Lindsay Harris help guide students from the application process all the way to graduation day. When looking at applications, Ward seeks students who have a high GPA and have done volunteer work in sonography. 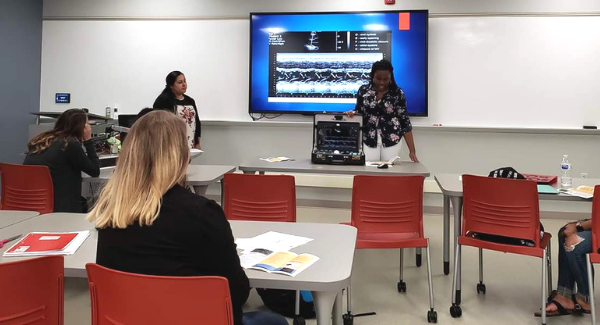 Qualities that sonography students are expected to have include organization, kindness, honesty, the ability to handle stress effectively and to be detail-oriented. Students can expect to be trained on three modalities in the program: abdomen, vascular and obstetrics. Upon graduation, students can choose to practice all modalities or become “masters” in only one. In Newman’s program, students complete all of their coursework before moving on to clinicals, a nontypical path for most health-care related students. The Newman sonography class of 2020. Newman is one of a few schools to adopt this method. Clinical sites are hand-picked by Ward for each student. She believes that being new to the field may affect students’ ability to understand what to look for in a clinical site, not to mention the added stress of a student tasked with finding a site on their own. Ward ensures that she places students in locations that expose them to a variety of exams and provides them with ample practice. 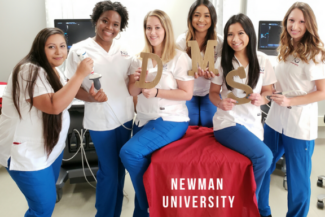 Most sonography programs are either certificates or associate degrees but Newman students are a step ahead when it comes to professional advancement by obtaining their bachelor’s degree. “The way health care is shifting, more and more (employers) are wanting bachelor’s degrees as a minimum to apply for leadership positions. 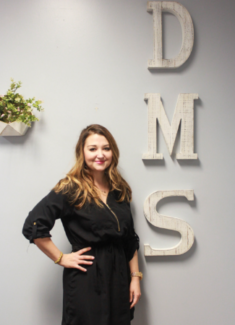 We want to put students in a place to achieve that,” said Ward. Students create abnormal studies through phantoms. These can’t be found in healthy individuals so they are simulated for practice. Once graduated, students can expect to earn around $60,000 in annual salary, according to Ward. The U.S. Bureau of Labor Statistics found the mean annual wage estimate for this occupation to be $71,750. The program at Newman currently accepts up to six students per year but has plans to expand to eight to 10 students in 2019. Ward has been working hard to find clinical sites to accommodate the higher number of students. Once the program becomes sustainable at eight to 10 students, Ward will seek accreditation. Ward said, “We are very excited to have a program that allows us to train up the next set of medical professionals. As a bachelor degree-granting program, it enables us to start them off as excellence leaders for our community.